In this guide, you’ll learn how to install an SSL Certificate on GlassFish. If you haven’t generated the CSR (Certificate Signing Request) code yet, the first part of the guide will show you how to generate a CSR code on GlassFish. The second part will focus on the SSL installation, while the third section will reveal interesting facts about GlassFish and its history. Finally, in the last segment, you’ll discover where to buy the best SSL Certificate for your GlassFish server. Where to buy an SSL Certificate for GlassFish? The first major step you have to perform when dealing with an SSL Certificate is to create a CSR code and send it to the Certificate Authority (your SSL provider). The CSR is a block of text containing details about your website and company. The CAs use it to verify your website’s or/and company’s identity. If your CSR includes erroneous or obsolete information, the CA will not sign your certificate. You can generate your CSR code in many ways, but the most optimal method for GlassFish is via the keytool command line utility. Since GlassFish stores certificates and private keys in special .jks files also called keystores, your first step is to create a new keystore. We recommend replacing the bold parts with an alias and file name of your choice. Note: The keystore and private key passwords must be the same as your GlassFish master password. If you don’t remember your master password and haven’t changed it from the beginning, then the default password should be changeit. You can set a new password via the change-master-password subcommand of the asadmin utility. Note: If you have a Wildcard certificate, add an asterisk in front the domain name (e.g., *.yoursite.com). Note: Your keystore file is located in the directory where you run the command. You can open your CSR file with any text editor of your choice (e.g., Notepad). Before sending it to your CA, we recommend one final check for potential typos or errors. Use our decoder tool to inspect your CSR. Depending on the validation type of your cert, you’ll have to wait between a few minutes up to a couple of business days for your SSL Certificate files to arrive in your inbox. Once you’ve received them, you can continue with the SSL installation. 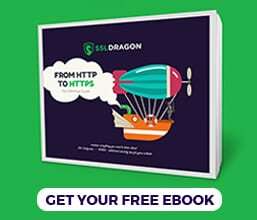 Before the installation, prepare your SSL Certificate files. Your CA sent them to the email address that you’ve provided. Usually, the files are in an archived folder. You will have to import the certificate files in the GlassFish keystore that contains your private key. It’s the same keystore that you’ve used to generate your CSR. Here, the alias name must match the keystore alias. The command will ask for your keystore password. Note: GlassFish creates domain1 by default. If you’ve added a new domain to GlassFish, use its directory instead of the default one. After a successful import, you need to update your GlassFish configuration to enable the new SSL certificate. Again, you have two options here. You can perform this action straight from your browser via the GlassFish Administration Console, or manually by editing the domain.xml file. Don’t forget to replace yoursite.com with your actual domain name. Once enabled, you can connect to the GlassFish Administration Console via https://yoursite.com:4848. Click on the “SSL” tab and in the Certificate Nickname field, enter your certificate alias. It is the same as your keystore alias. Switch back to the “General” tab and change the HTTPS Port to the usual 443. GlassFish uses the 8181 port by default. Sometimes not all configuration references will update to the new alias in the Administration Console. If this happens to you, don’t worry, you can update them manually in the domain.xml file. Domain.xml is an alternative way to configure your SSL Certificate in GlassFish. The domain.xml file resides in glassfish4/glassfish/domains/domain1/config/domain.xml. To perform a safe update, we recommend stopping the GlassFish service for your domain, and only afterwards opening the Domain.xml file. To stop GlassFish run the following command: asadmin stop-domain yoursite.com. Replace yoursite.com with your domain name. Now you can open the domain.xml file with your favorite text editor. Use the Ctrl+F search function to locate the slas attribute, the default SSL certificate alias on GlassFish. Next, replace slas with your certificate alias. In this article we’ve been using myalias as our certificate alias. If you update all the aliases to your alias, you’ll also install the SSL Certificate for the GlassFish Administration Console. Save your domain.xml file, and runt the asadmin start-domain yoursite.com command to start your domain. Congratulations, you’ve successfully installed your SSL Certificate on the GlassFish server. After you install an SSL certificate on GlassFish, you can use one of these excellent SSL tools to check the status of your installation. The instant scans will reveal any potential errors and vulnerabilities that may affect your certificate performance. GlassFish is an open-source application server project created by Sun Microsystems and now sponsored by Oracle Corporation. Written for Java EE platform, GlassFish was first released on 6 June 2005. GlassFish allows developers to create portable and scalable applications. It supports Enterprise JavaBeans, JPA, JavaServer Faces, JMS, RMI, JavaServer Pages, servlets, etc. Below you’ll find all the major GlassFish releases. GlassFish 5.0 released on 21 September 2017. 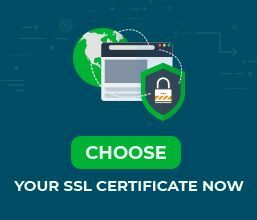 To help you pick the ideal SSL certificate for your site, we built two exclusive SSL tools. Our SSL Wizard needs just a few seconds to find the best SSL deal for your project and budget, while the Advanced Certificate Filter lets you sort and compare various SSL certificates by price, validation, and features.